102MPH on a Rope - The ski-race version of Nordic’s 21’ Blaze is designed to go fast and provide stellar handling. 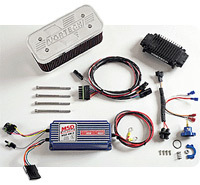 But what happens when you add a Vortech supercharger to the Mercury Racing HP500 EFI? 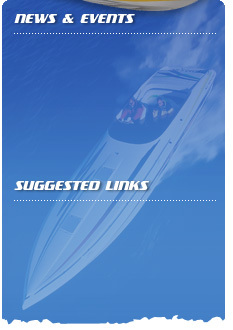 How about the fastest speed for a 21’ boat at Powerboat Magazine’s 100 mph competition. The Blaze was clocked at 102+ mph in full ski-race mode. This boat also set the Formula Class record at the 62-mile 2004 Catalina Island Ski Race, the old record had been standing since 1987. In fact, the Nordic has competed in more then 25 marathon races at speeds averaging 90 mph (most over an hour in length) without an engine or supercharger failure. Vortech Power Packs - Finally the only complete performance upgrade system available for the 454/502 MPI Fuel Injected engine. 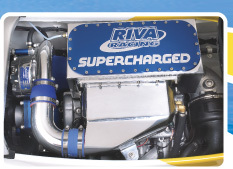 The Maxflow EFI Power Pack has been extensively dyno tested and field proven. Bolt on 25-35 more horsepower. 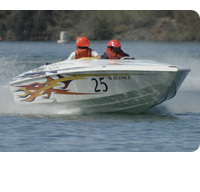 Speed increases of 2-5 mph have been documented with stock powered boats.